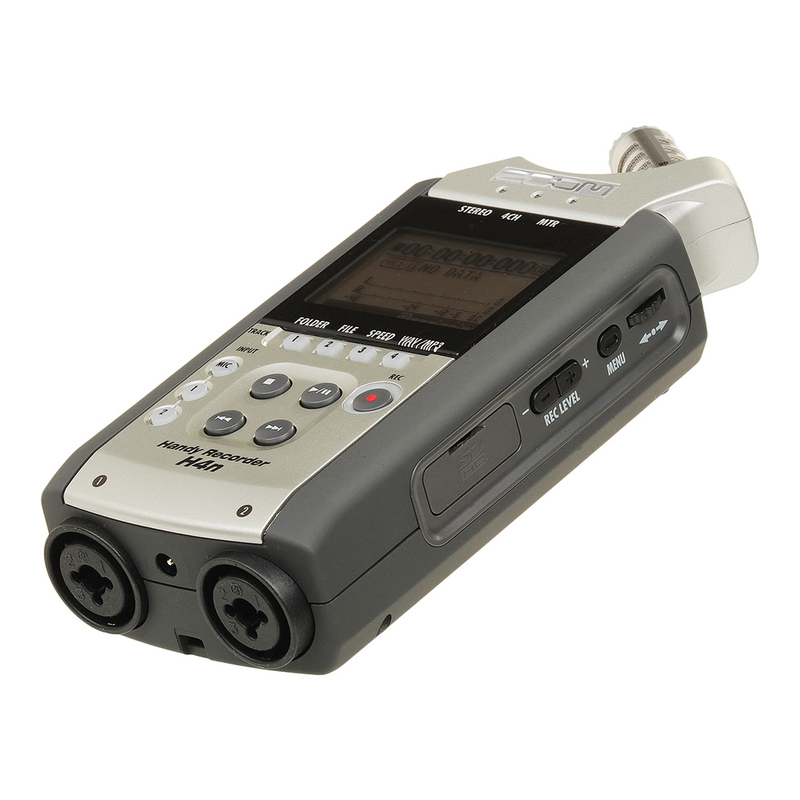 The Zoom H4N Handy Recorder is ideal for recording interviews, lectures, rehearsals, meetings, and more. This palm-sized unit packs the ability to record up to 4 channels of audio at greater than CD quality. The recorder captures audio to SD or SDHC cards with capacities up to 32GB. Categories: Audio Rentals, Portable Recording. The Zoom H4N Handy Recorder is ideal for recording interviews, lectures, rehearsals, meetings, and more, this palm-sized unit packs the ability to record up to 4 channels of audio at greater than CD quality. The H4N features on board true X/Y stereo microphones to pick up clear, natural sound without phase shifting. 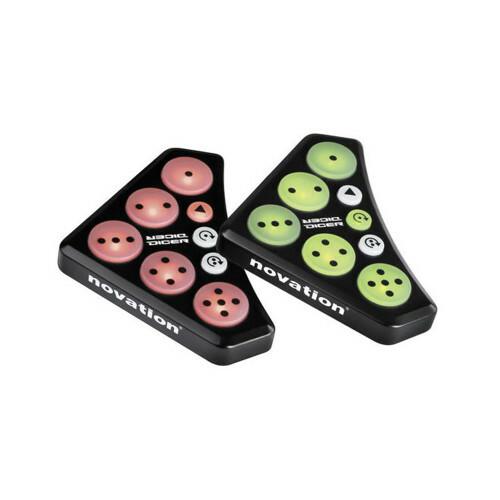 The mics can be rotated to select a 90° or 120° recording pattern for terrific versatility. The digitally-controlled preamp, combined with the high-quality microphones, allows you to capture Linear PCM audio at rates up to 24-bit/96kHz. The recorder captures audio to SD or SDHC cards with capacities up to 32GB. A USB 2.0 port allows you to quickly transfer files to a Mac or PC, or use the H4N as a live audio interface. The small size of the H4N makes it ideal for use in mobile situations. 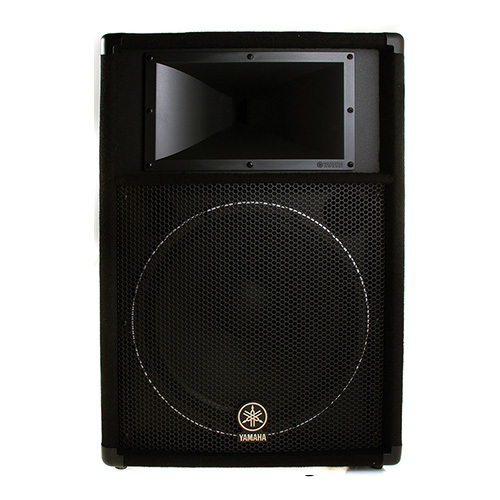 The rubberized chassis provides a high level of durability and helps to minimize handling noise. 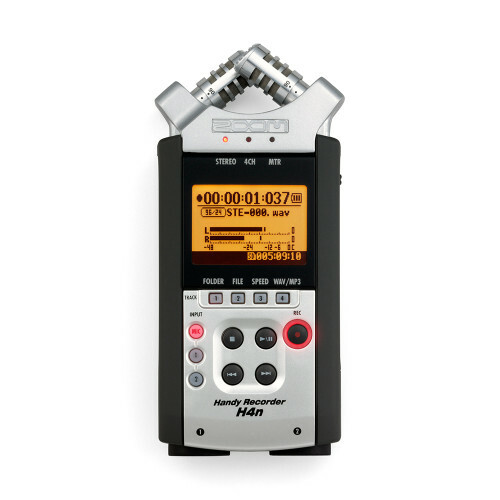 The H4N can record up to 4 channels of audio. It also has a 4-track MTR mode that provides simultaneous 4-track playback and 2-track recording for overdubbing and creating songs. The onboard mics are arranged in true X/Y fashion to produce natural stereo recordings with no phasing issues. 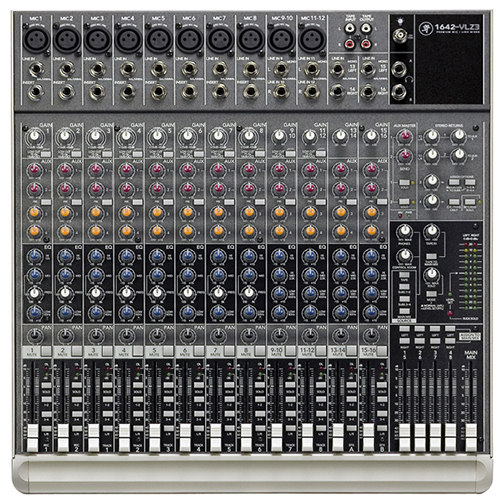 The built-in mics can be rotated to select a recording pattern of 90° or 120° for versatility. The digitally-controlled preamp captures clear, precise audio at rates up to 24-bit/96kHz, SD/SDHC Storage. 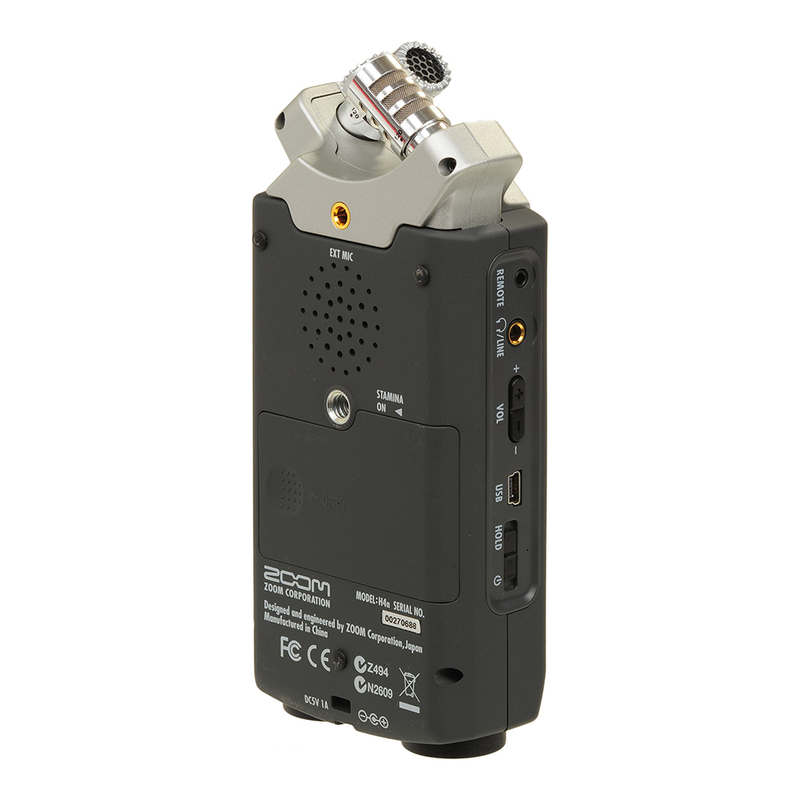 The H4N features professional-quality XLR/TRS inputs with phantom power for connecting instruments or microphones. An additional 3.5mm mic input is also provided. Output is via a 3.5mm headphone/line out jack. A USB 2.0 port lets you transfer files to a computer, or use the unit as a live audio interface. Built-in editing features let you make basic adjustments. A mid-side stereo decoder allows you to use an external mid-side mic setup, while a mono mix function lets you convert a stereo recording down to mono, ideal for interviews. The H4n features pre-record and auto record features so you never miss an important moment. A low-cut filter and limiter make sure you capture a clean recording every time. The H4n recordings carry time stamp information, and can accept cues/markers to support the Broadcast Wave Format (BWF) used in professional applications. The integrated tuner and metronome are perfect tools for singers and musicians. The recorder can be mounted on a standard mic stand by using the included mic clip adapter, or mounted to a standard camera tripod thanks to the threaded mount. 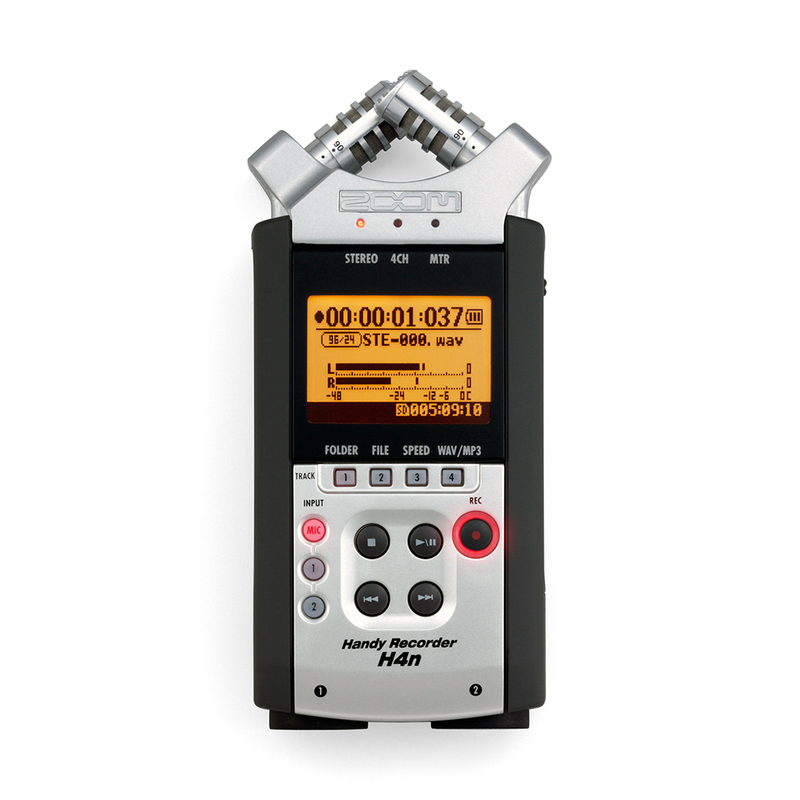 The H4n comes complete with a 16GB SD card, wind screen, mic clip adapter, AC adapter, USB cable, and protective case so you can start recording right away.